Skip Aston founded Michigan Concrete Sawing and Drilling in 1981, after having worked with another concrete cutting company. In the early '80s, as a recession swept the country, money was tight, so whenever Michigan Concrete had a job for which they did not own the equipment, Skip and his staff would go out and buy it. 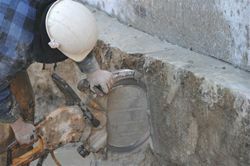 The team at Michigan Concrete had only needed an extra day or two in order to acquire the larger core bit or blade. Conversion of some of the hydraulic systems in order to utilize more environmentally friendly fluids. Addition of high cycle equipment to eliminate the need for hydraulics in most cases. Each branch should be equipment with setups near the end of next year. Expansion into Southeast Florida with the purchase of ABC Concrete Cutting, a company that has been in Southeast Florida since 1971 and is the largest concrete cutting contractor in the area. 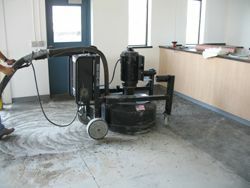 Extensive Silica Compliance with medical testing and additional training to esure your jobsite remains safe. Michigan Concrete is transitioning into its next generation of leadership, and we are making every effort to ensure the success of the company for several decades into the future. We take pride in our size and our ability to help our customers. To this end, we are constantly striving to improve our service and grow our company in order to better serve you. Michigan Concrete Sawing and Drilling is committed to the following three objectives. All decisions will be consistent with these objectives. 1. Developing and maintaining long term relationships with customers. Show up at the scheduled time. Provide quality and well-maintained equipment. Provide well-trained, courteous, and productive personnel. Complete all work correctly the first time. All work must be priced fairly. We will recognize all employees for their contributions, solicit their input and listen to their concerns and ideas. Our desire is for all employees to take pride in their decision to work at Michigan Concrete Sawing and Drilling. We will make sure every employee is trained so they are able to recognize and respect potential hazards and know how to deal with them. If an operator has any doubts concerning safety, they are instructed to stop work until they are satisfied no one's safety is in jeopardy.